I look forward to making bird feeders with my girls each year. There are so many fun & creative ways to make them, and kids love watching the birds visit feeders that they made themselves! 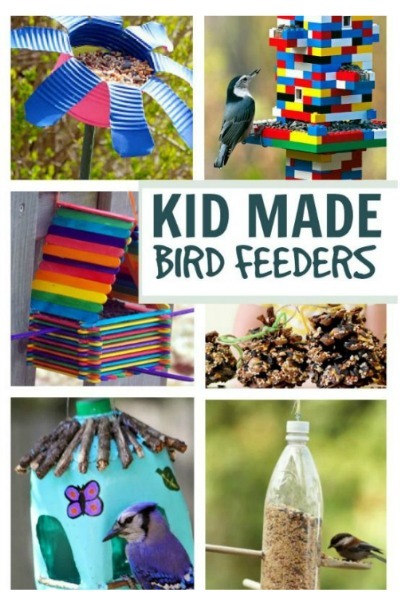 Here are 18 totally awesome bird feeder crafts for kids to make this spring. 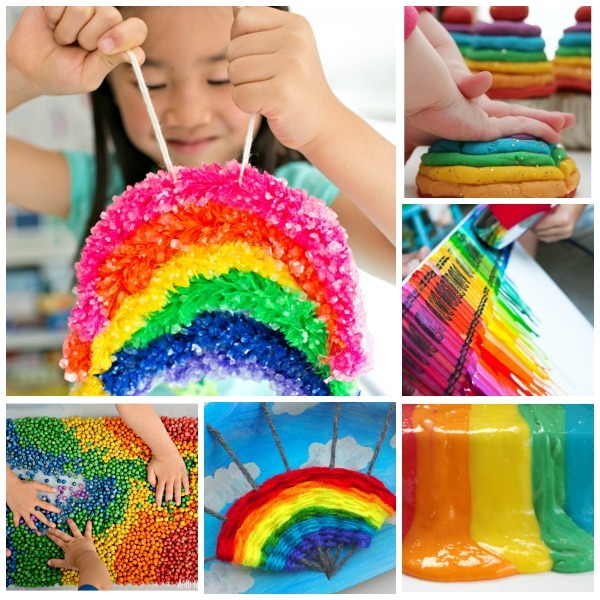 Have kids work on fine motor skills while making a cheerio bird feeder. 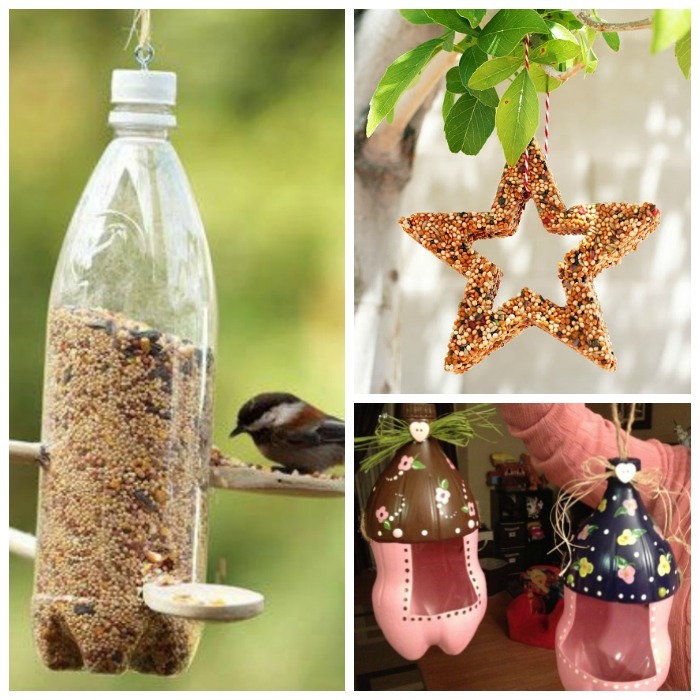 Turn a recycled tube into a this awesome bird feeder. 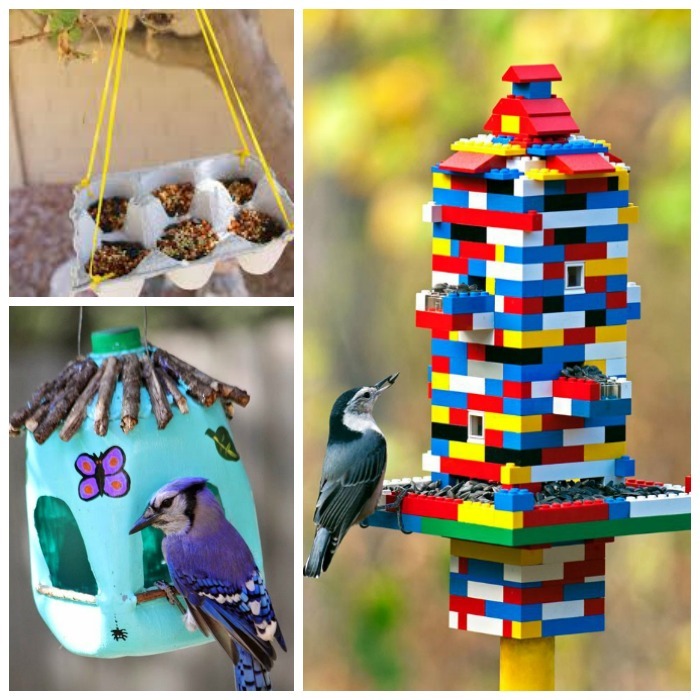 Don't toss that milk carton when it's empty- turn it into a bird feeder home. 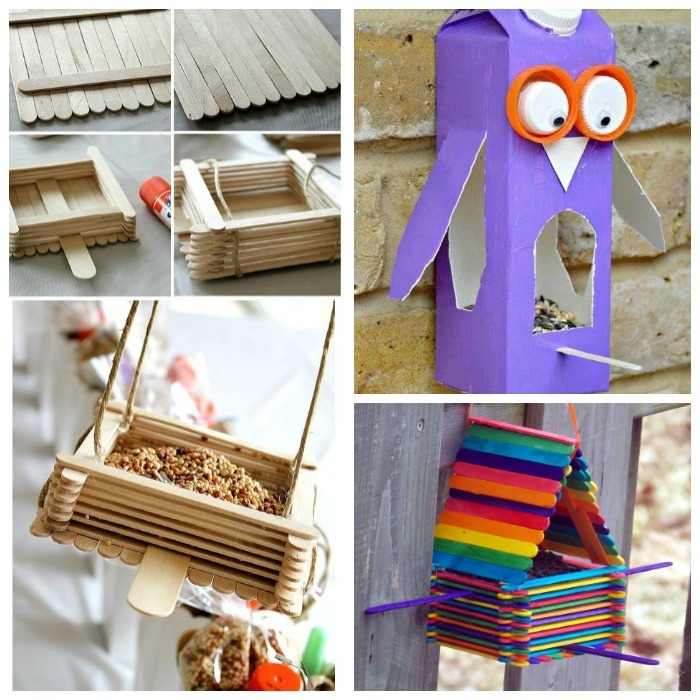 Make a popsicle stick bird feeder. Use colored popsicle sticks for a more colorful bird feeder. Make this bird feeder from an empty juice carton. 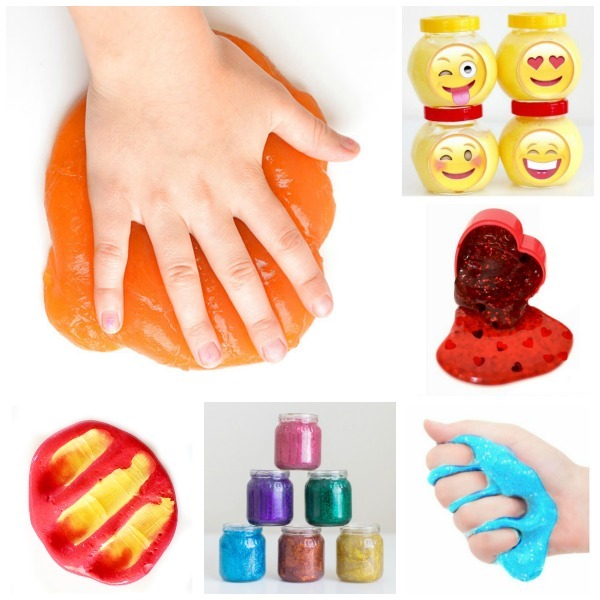 Have an empty bottle on hand? Turn it into this adorable bird feeder. 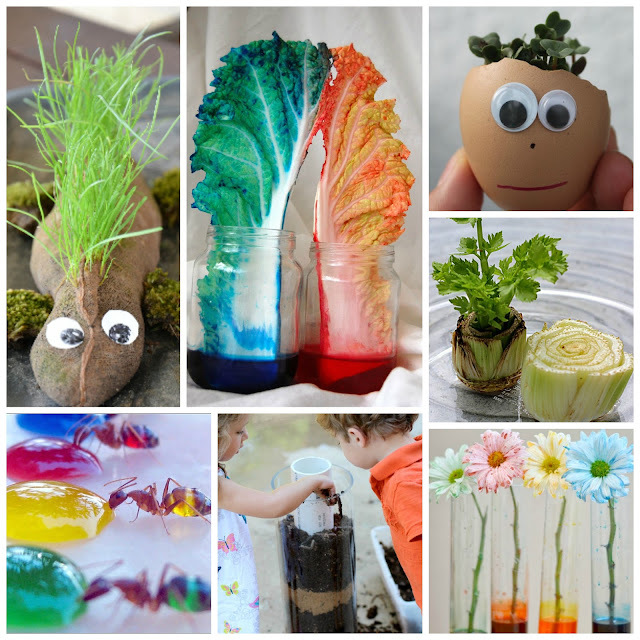 Add paint to the bottles to make fairy bottle bird feeders. 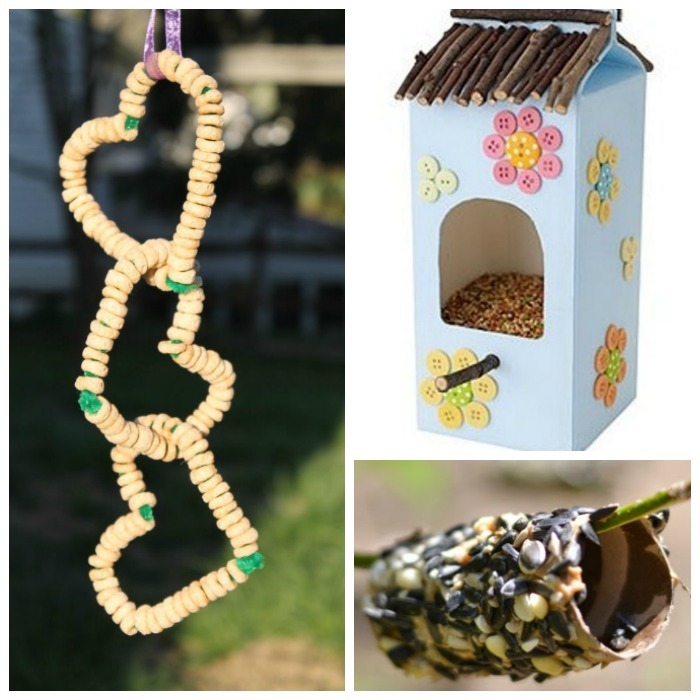 Use cookie cutters to make shaped bird feeders. Make bird feeders from oranges. Have an old shoe? The kids might get a kick out of turning that into a bird feeder. 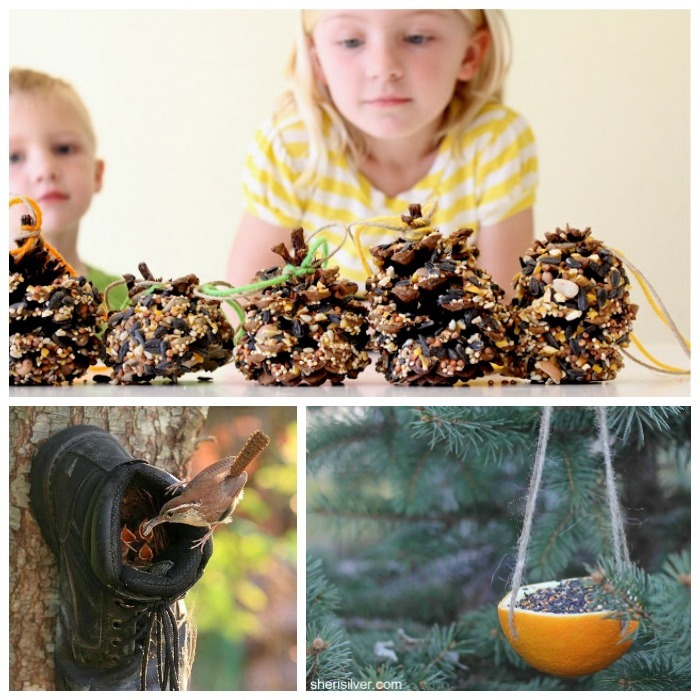 Make pine-cone bird feeders . Turn an egg carton into a bird feeder. Have a Lego lover? 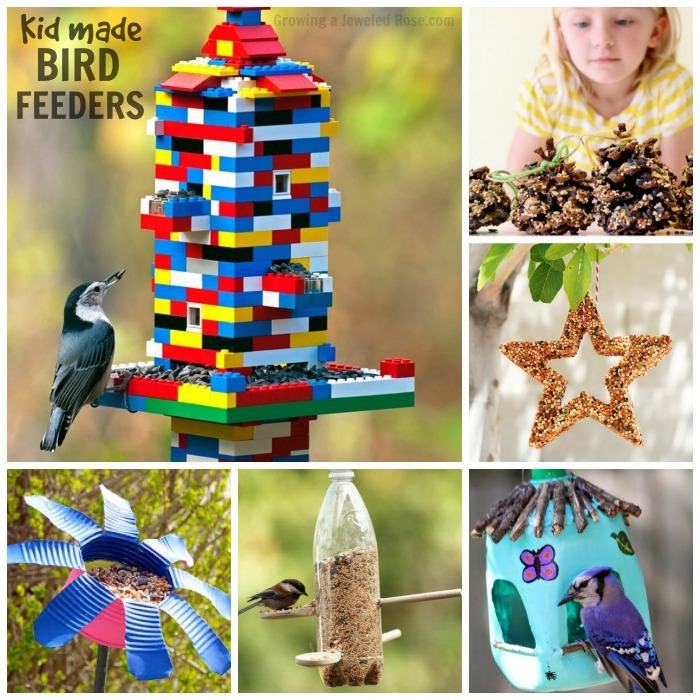 Make a Lego bird feeder. 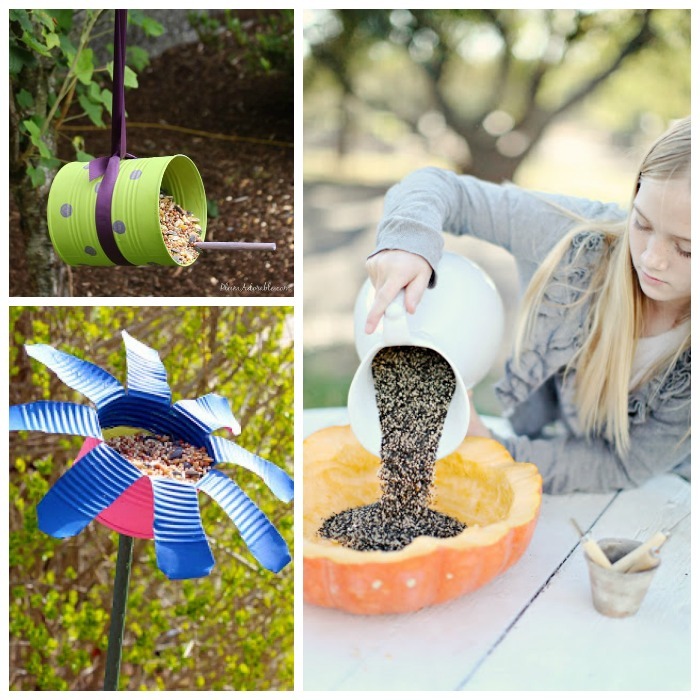 Make tin can bird feeders. Take it a step further & make a can flower feeder. Turn a pumpkin or gourd into a bird feeder.